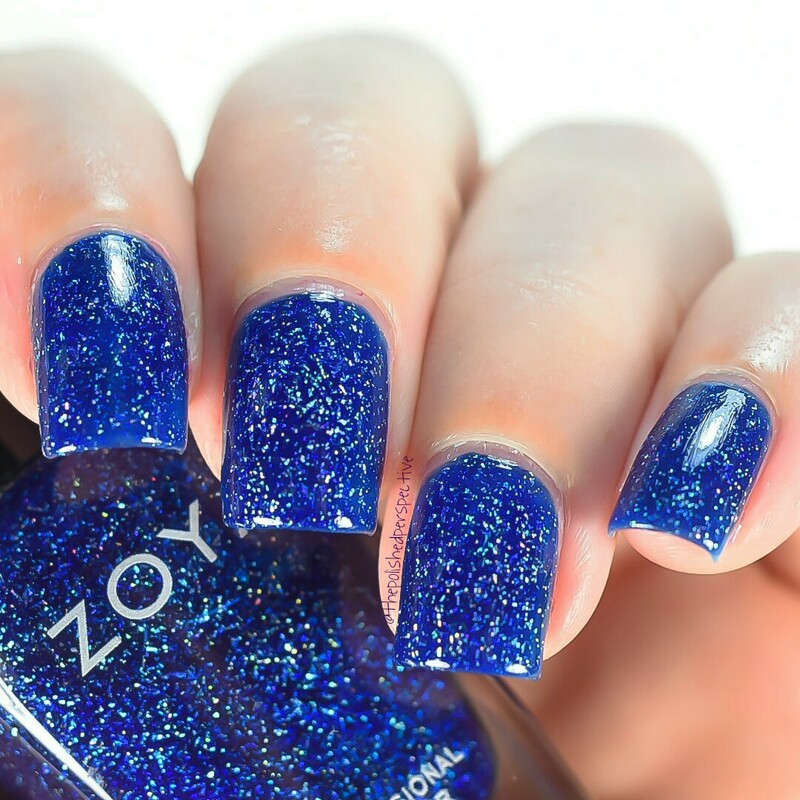 A bold blue jelly with a scattered holographic effect from the Zoya Holiday 2013 Zenith Collection. It is a bit sheer on the first coat, but builds up well in three coats. 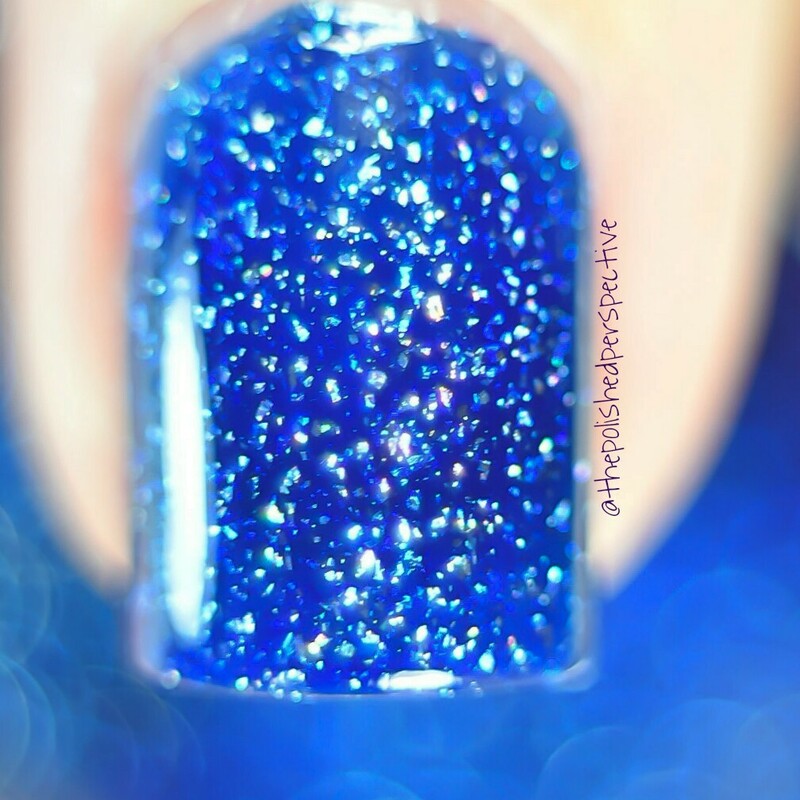 I went through a blue nail polish obsession period, which I refer to as my blue period, and this was my favorite of the Zoya holos for awhile. 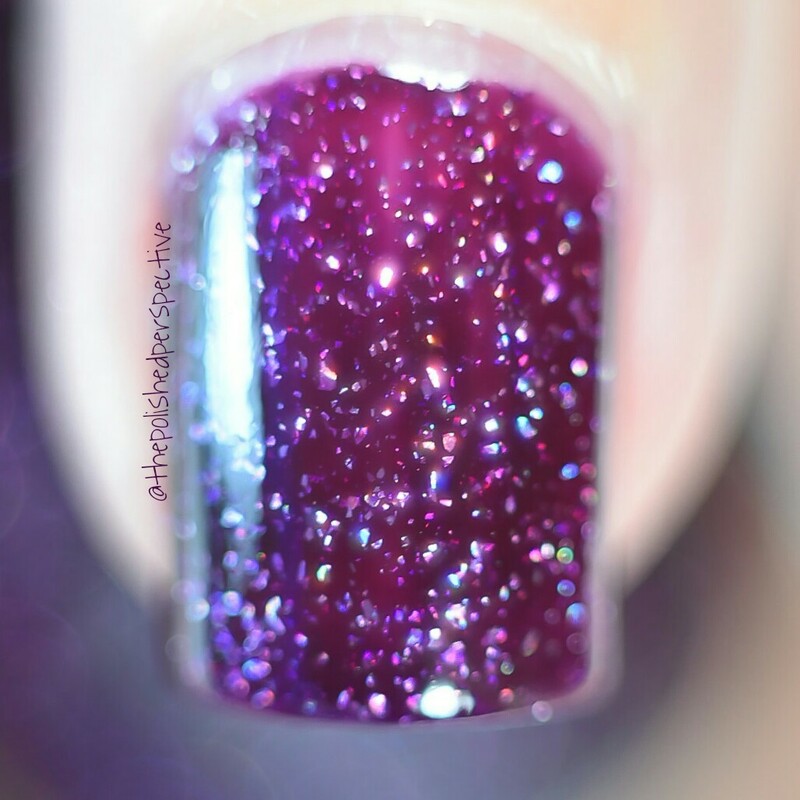 A dark purplish/burgundy with a jelly base and scattered holographic effect. This is very similar in formula to Dream. I only did two coats, but my swatch probably needed three. The scattered holo isn't as prominent as Dream. This one is currently my favorite since I just started going through a vampy period. And, by just now, I meant right now..starting with this swatch. I'm ready for all the burgundies and oxbloods. I think that will be my favorite shade for fall! 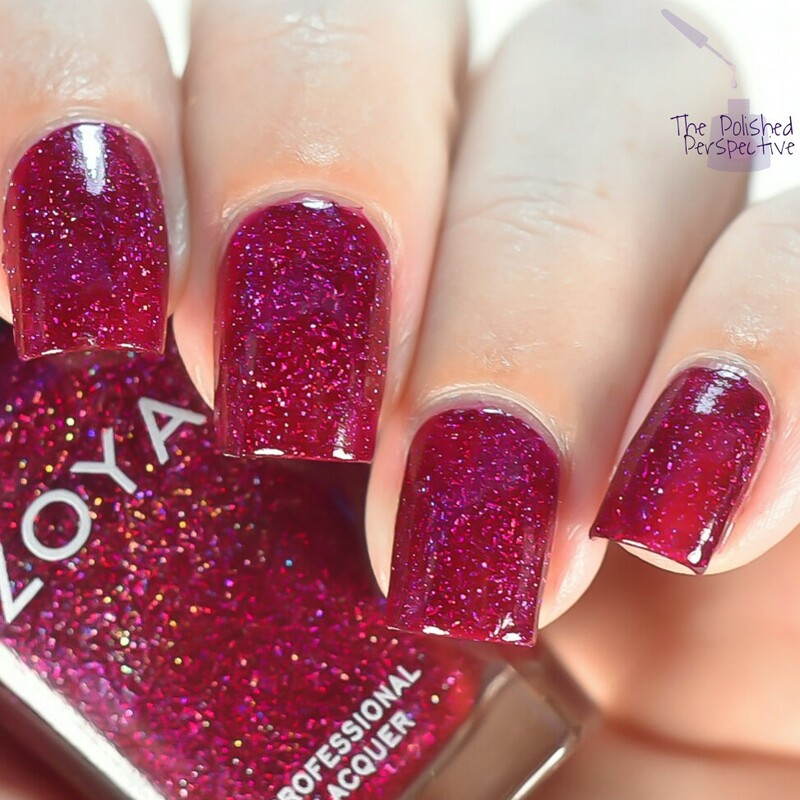 Deep cranberry red with scattered holographic effect from the Zoya Ornate 2012 Collection. The formula on this one is a bit more opaque and I got full coverage with two coats. The scattered holo isn't quite as intense as Dream but not as subtle as Payton. It's a happy medium. This is one of my favorite reds of all time. 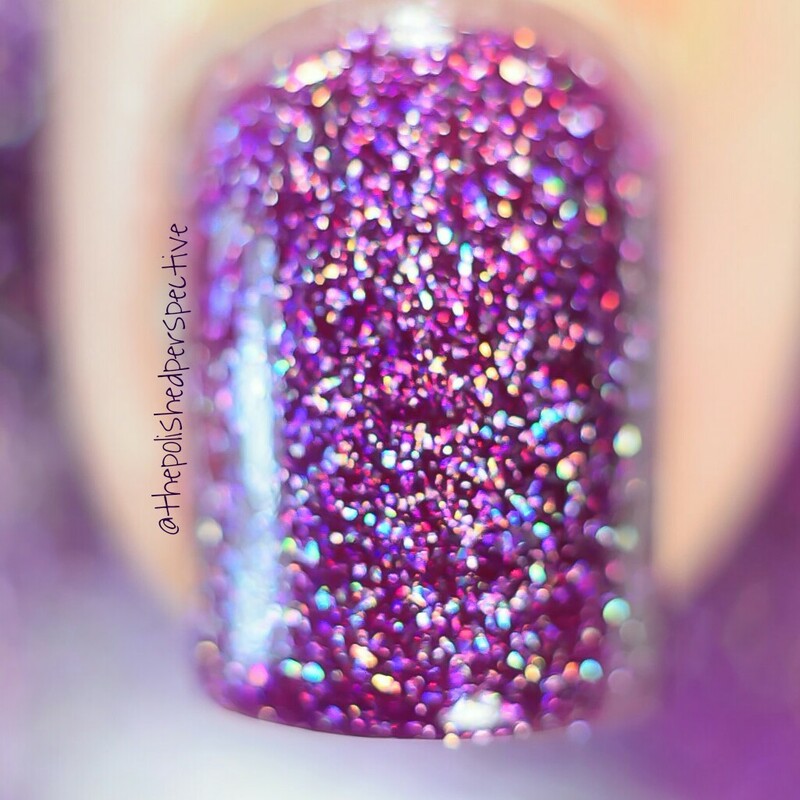 A plum purple with scattered holographic effect like whoa, also from the Ornate Collection. This is my most used of the holos. Sometimes I only use two coats and sometimes three. So, don't ask me how many coats is typical, because it just depends on how I paint at the time. The last past Zoya holographic polish I need is Storm. 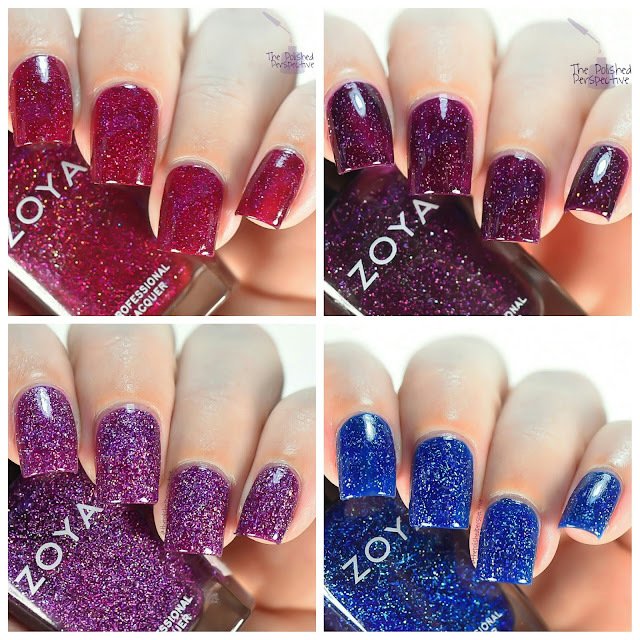 In case you're keeping tabs, my next Zoya purchase will include Storm and two lipsticks, plus a few other polishes. You know, when I was updating my wishlist, I realized I don't own Charisma. What the heck? Speaking of Zoya lipsticks, I'm still pretty obsessed with mine. Check out my review of Candy and Mellie. I wore Mellie to a brunch today and received a lot of compliments! I also received the Urban Grunge Collection today!!!!! I can't wait to try out the new holos and the cremes look so awesome! I'll make sure I get on those stat. I'll also have lots o' comparisons. I love these! I can't wait to see your comparisons of the Urban Grunge collection! I have all my comparisons lined up and ready to go! I do love the old Zoya holos! I remember when I first bought them, I was so amazed! Mattes are definitely my second favorite from Zoya! 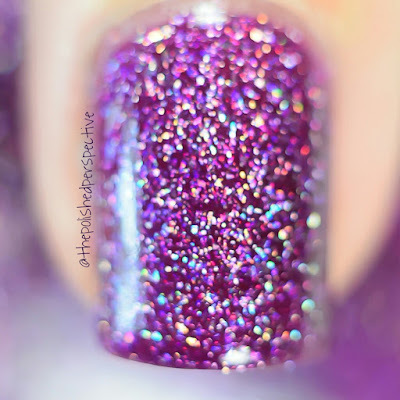 Dream is still one of my very favorite Zoyas. Your swatches are gorgeous! Your swatches are absolutely flawless! This is making me want to pull out all of mine again! I have Dream and I looooove it!!! 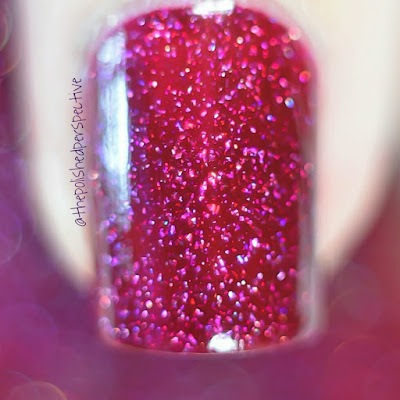 You wear these vampy holos so well! These are all just stunning on you! I'm so happy to see you square again! I love all the sparkle in your macros! Totally to die-for!